Italian-American Civic Association Founders. —. 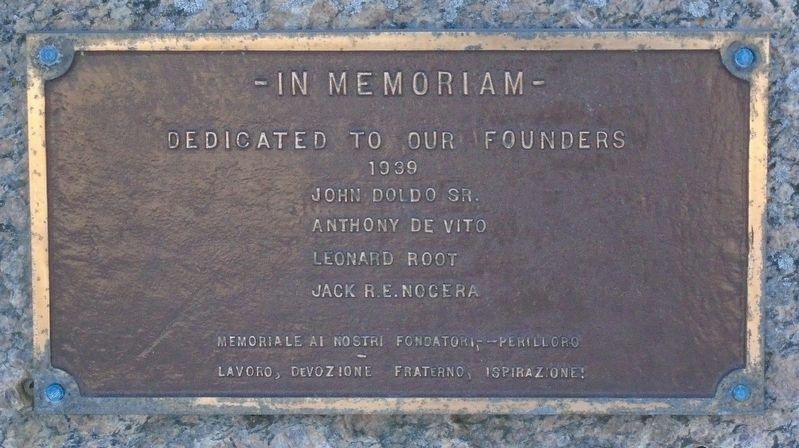 Erected by Italian-American Civic Association. Location. 43° 58.816′ N, 75° 55.853′ W. Marker is in Watertown, New York, in Jefferson County. Marker is at the intersection of Bellew Avenue and Emmett Street, on the left when traveling south on Bellew Avenue. Touch for map. Marker is at or near this postal address: 192 Bellew Avenue, Watertown NY 13601, United States of America. Touch for directions. miles away); Frank Winfield Woolworth (approx. 1.1 miles away); Henry Keep Home (approx. 1.1 miles away); Roswell Pettibone Flower (approx. 1.1 miles away). Touch for a list and map of all markers in Watertown. More. 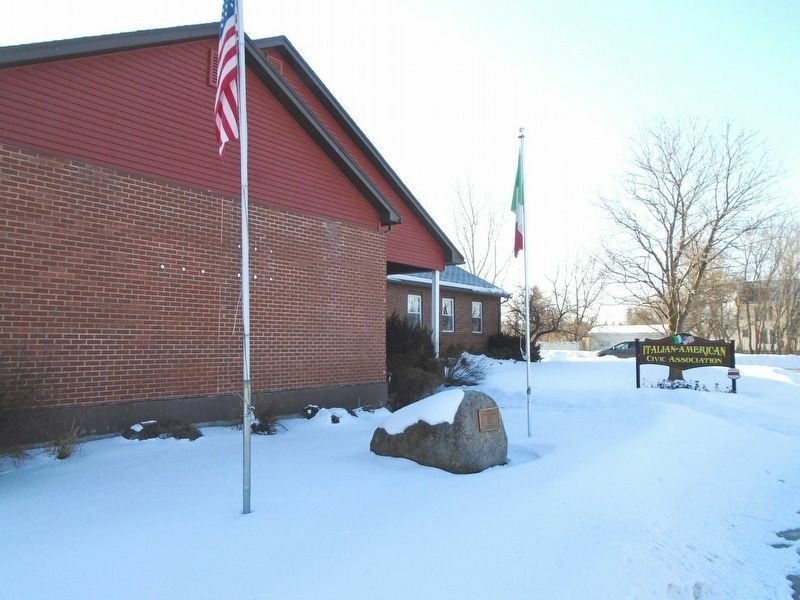 Search the internet for Italian-American Civic Association Founders. Credits. This page was last revised on March 12, 2019. This page originally submitted on March 12, 2019, by William Fischer, Jr. of Scranton, Pennsylvania. This page has been viewed 35 times since then. Photos: 1, 2. submitted on March 12, 2019, by William Fischer, Jr. of Scranton, Pennsylvania.